Isaiah Thomas leads the way again, with 29 points and eight assists, and Boston moves within two games of the Eastern Conference lead. 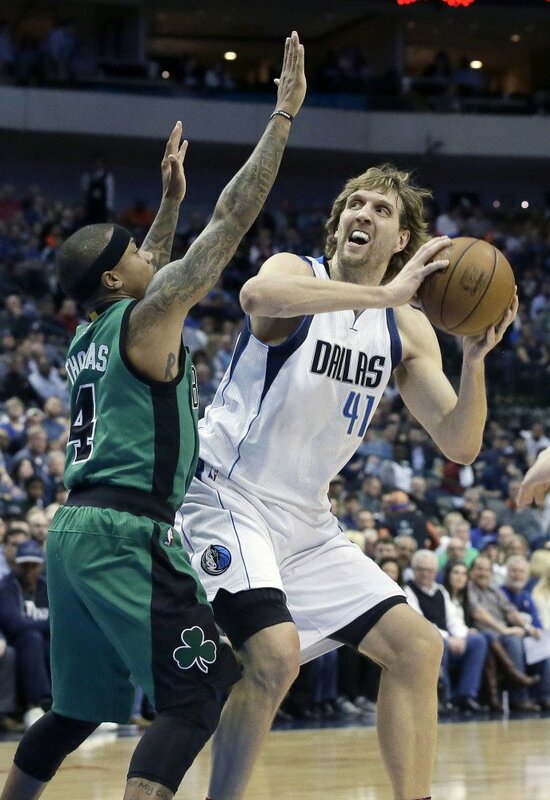 DALLAS — Isaiah Thomas had 29 points and eight assists, backcourt mate Marcus Smart added 19 points against his hometown team and the Boston Celtics beat the Dallas Mavericks 111-98 on Monday night. Kelly Olynyk scored seven of his 15 points during a 12-2 run that started with the Celtics leading by one in the fourth quarter as the Atlantic Division leaders won for the 10th time in 11 games. Boston pulled within two games of Cleveland atop the Eastern Conference. Rookie Yogi Ferrell had 20 points for the Mavericks, who came in with three wins over division leaders in the past two weeks after spending the first three months at or near the bottom of the West. Olynyk started the decisive surge with a pair of layups, followed by a high-arching layup on a drive by Thomas, the NBA’s second-leading scorer. After Olynyk hit a 3-pointer, Thomas made one for a 100-89 Boston lead. Mavericks guard Deron Williams was ejected late in the second quarter after getting two quick technical fouls for arguing a foul call, part of an 8-0 Boston run over the final 58 seconds for the Celtics’ 61-50 lead at the break. Williams, who was in his second game back after missing eight games with a right big toe sprain, was called for pushing off while driving for a layup. He intercepted a pass intended for official Justin VanDuyne, who made the call, and began arguing with him. Dallas’ point guard pounded the ball on the floor with two hands while turning away as the first was technical was called, and VanDuyne quickly called the second tech. With 0.3 seconds left in the half, Ferrell was called for bumping Thomas as he pulled up to beat the buzzer on a long 3-pointer. Thomas made all three free throws. 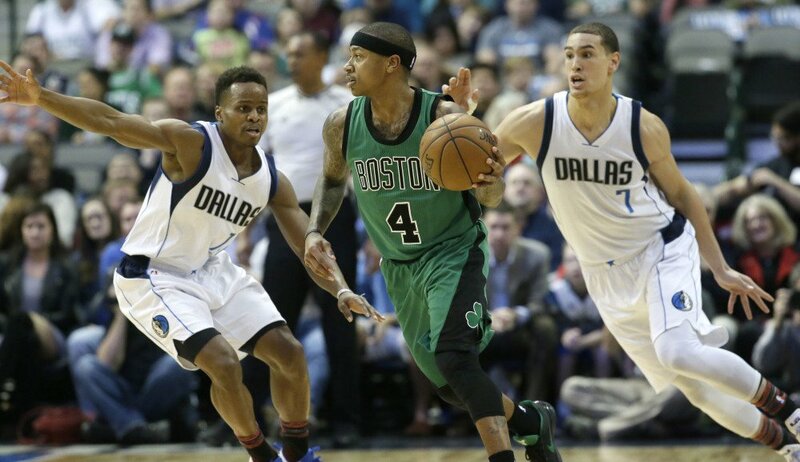 Thomas and Smart, who went to high school in a suburb near Dallas, combined for 23 points in the first quarter, but Ferrell had 13 at halftime to help Dallas get within three before Boston’s late surge. Harrison Barnes scored 19 for Dallas, and Dirk Nowitzki and Wesley Matthews had 18 apiece.